Built in 2007, the apartments impress guests with their minimalist and elegant style. 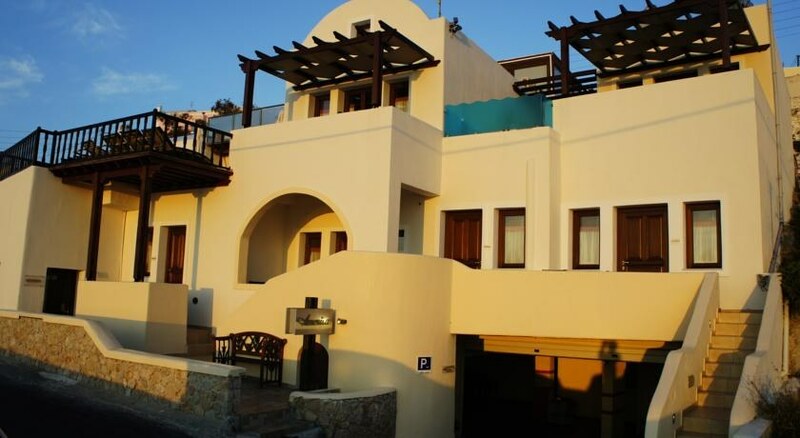 Here enchanting natural beauty is combined with imposing Aegean architecture. The complex offers exquisite hospitality and luxurious accommodation, to guarantee a relaxing and enchanting stay. 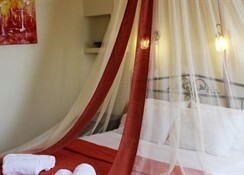 It comprises 10 luxurious rooms and 4 suites. Facilities on offer include a safe, a newspaper stand, Internet access and parking for those arriving by car. For a small additional fee guests can make use of the room and laundry services. There are daily flights from Spata (Athens) to Santorini and vice-versa. Santorini is also well connected with other cities in Greece, including Thessalonica, Rhodes, Crete, Mykonos, Paros, Naxos and Syros. There are also daily timetabled crossings from Piraeus harbour and Thessaloniki to the harbour at Santorini and vice-versa. The journey lasts approximately 8 hours depending on the weather and season. There is also a 'Flying Cat' and high-speed ferry, which takes about 4 hours. Santorini Harbour also offers connections to Rhodes, Ios, Paros, Naxos, Syros, Tinos, Heraklion, Amorgos, Sikinos, Folegandros and Mykonos, but with less frequent crossings.